Excited by the upcoming release of the 3DS eShop? Of course you are, but we bet there's room for your excitement-o-meter to jump up a few notches when you hear the service will apparently launch with a free game. As part of Nintendo's 3D Classics range that will see older games re-released with a lick of three-dimensional paint, Excitebike will hit the service on day one for absolutely nothing, according to a report from Andriasang. The company also confirmed the service will launch with Game Boy and Game Boy Color games, but that it is investigating bringing other formats to the service in future, hopefully paving the way for Virtual Boy games on 3DS. More specifically, we will give a free download of "ExciteBike" as one of the "3D Classics" series during a certain period of time after the beginning of the system update. We would like to announce this widely and have as many people as possible update their hardware and start using Nintendo eShop. Best get in there quickly. Wow, more free stuff! Bring it on, Nintendo! Ooh, so I'm guessing that it will look like the existing 3D Excitebike visualizer on 3DS Sound, which is pretty nifty. Is this the actual full game or just like a level in 3D? Either way free is a good price lol. Nice Nintendo. When did you become so awesome with the downloads? This is pretty cool, hopefully it's worldwide that this title will be available for free. Wow Free Excitebike, Flipnote studio and the Mega Man Legends 3 prototype version! They should call it the free shop channel. We sure are getting alot of freebees with the launch of the 3DS shop. @ 9 Actually you have to pay for the Megaman Legends 3 Prototype. So...yeah. Oh I hadn't heard a price was announced. How much is it supposed to cost? May couldn't come soon enough. I so hope this is true. I wanted a 3D Classic version of Excitebike, but it's kind of hard to justify buying it, because the game is so short. I hope it is an original made by Monster Games if it does exist. I still play the Wiiware version every now and then. But ya can't go wrong with the original if it ends up being that. Just woke up. Put Nintendo Life. Awesome news. This is the start of a great day. @Link79: 200 yen, somewhere around $2.00USD. @ballkirby1 It will be for 3D Classics, so most likely it is the original with 3D visuals. This is good news. I'm hoping they release more free games in the future, so we have more than two. Please still be free when I finally get it. I just learned that there was an Excitebike game on the Super Famicom with Mario characters. This also sounds cool. Uggh by the time may gets here spring will almost be over. Free is the best price ever. Don't think it will always be free though. I wish we could get pricing already though! Oh and I hope its multi player either local or internet. That would be more awesomer!! Always a plus. Thanks Nintendo! Sweet. Nothing better than a free gaming gift! Thanks, Nintendo! There are only three Virtual Boy games I'd want. Wario Land, Telleroboxer, and Jack Bros.. Free?! Yay! It's been a long time since I played that game too. I'll take anything Excitebike-related, especially if its free! Free is good, seeing as $5 for the original was such a waste of money on VC. DSi-buyers got free 1000 Points, 3DS-buyers only get a 5 bucks game. DS-buyers had to buy a mp3-Player and an internet browser for 40 € each, DSi-buyers for free. Nice free game. It's a shame we have to wait until late may, but hopefully I'll have a permanent job by then (so I can buy it guilt free). Free 3D Excitebike game? Well, I've never played any Excite game before, but free is always a good price for anything, except for maybe dieseases and death. I dont think I would be playing this to much on the 3DS. I prefer my Excitebike on a good old fashioned CRT TV! 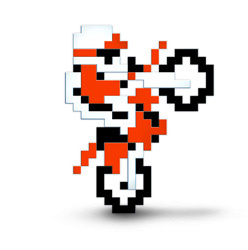 Excitebike is seriously one of my favorite NES games. This is fantastic news! It seems like it would lend itself very well to added dimension, seeing as its about switching lanes and making jumps and all. Normally I wouldn't care about this news since I've played every game in the Excite series (except Excitebike Vs. of course), but hey it's free. Day 1 download. A little off topic but I'd like people to know that Nintendo never officially said anything about 3DSWare in May. At least not yet. I've only read about Virtual Console, 3D Classics, DSiware, and Short-form video. 3DSWare could easily come at a later date. Just don't want too many NLifers to get their hopes up. I think Nintendo confirmed that VC is just 2D, keeping the emulation simple. even if the 3dsware isnt confirmed in may, i think the next update is more than enough to give us meat to play on. Wow! This is great news. The added 3D effect will make exitebike exiting to play through again. Late May can't come soon enough. They better shed some nice freebies for all of us who bought the device regardless the lack of browser and eshop and despite all the crap from kotaku . This is most certainly welcoming news. I loved this game back in the NES days and with a lick of paint and 3D visuals I'm certain I will get hours of entertainment. Thanks Nintendo! I'm sold. never played the orignial but love the excitebots and excitetruck. Woot! What I really want is the internet browser. The button for it is taunting me. I used the DSi browser all the time but I sold my DSi to my little sister. I gotta tell Denise about this. Exciting news! A free 3D Excitebike sounds like a great way to kick off the 3D Classics series! Sweet. Nice little bonus.Roll on May! Great, i have never played that game. Maybe,Nintendo can b more kind,by giving link's awaking for free also. Thank you Nintendo. Already got the money I'm going to use for the E-Shop. I made a prediction list for 3ds games one of course was exitebike due to the success of the exite series. Hoping the next 3DS VC-related news is GBA games for the service. Also, free! Excitebike 3D for free? That's cool! Hopefully the offer still stands when I'll buy the 3DS (when it gets cheaper)! Awesome, my favorite black-box NES game next to balloon fight. But now I HAVE to get a 3DS on my birthday May 6 so I can get this for free in time. I wanted to wait dangit! This sounds bad but when is the shop coming? late May, maybe four weeks? Thanks Nintendo for the free gift........... but please announce when 3DS shop is coming. That'll be neat! I'm ashamed to say I've never really played the ExciteBike series much, nor do I own any copy of it (unless you count ExciteTruck, and I would have gotten Bots too if it would have released in Europe), so I'm actually pretty excited about this now! i'm really proud of nintendo now but can anyone tell me when what day exactly in may is the uptade going to be available? @sam332 Nope, it hasn't been announced yet. Late May is all we know. Sweet, never played excitebike before but it sounds fun. Hey, anyone know if the eShop will sell 3D movies or music? That would be sweet too!